Dr. Wilgus obtained a bachelors of science in physiology from University of California, Davis. While at UC Davis, he was on the dean's list for academic achievement and recipient of the Outstanding Senior Award for leadership, extracurricular involvement, and academic achievement. Dr. Wilgus also played defensive back on the UC Davis Aggies Varsity football team. He earned his DDS from University of California, San Francisco and graduated at the top of his class. While at UCSF, he was inducted into the national dental honor society- Omicron Kappa Upsilon and received academic scholarships. Upon graduation, Dr. Wilgus was recognized with California Dental Association "Leadership and Outstanding Academic Achievement Award" and the UCSF Robert Rule Award for the "highest potential to succeed in the dental profession". Dr. Wilgus completed a 3 year residency and received his Certificate in Advanced Periodontics at the West Los Angeles Veterans Hospital-UCLA. While at the WLA-VA, he served as chief resident and was given the California Society of Periodontists Resident Leadership Award. Dr. Wilgus currently teaches part-time at the WLA-VA hospital in the Periodontic Clinic. Dr. Wilgus is board certified by the American Academy of Periodontology. He is currently the president of the Santa Barbara-Ventura County Dental Society. Dr. Wilgus spends most of his free time with his wife- Kerri, and sons Mason and Tyler. When not with his family, he enjoys playing golf, softball, and riding his mountain bike. 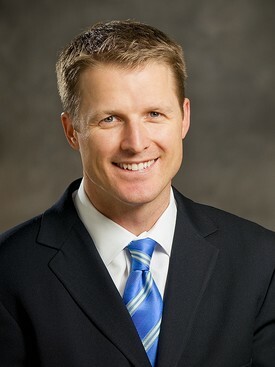 Dr. Hunter is a local graduate of Adolfo Camarillo High School where he was a 4-sport athlete. He earned his bachelors of science in biology from California Lutheran University in Thousand Oaks, CA. He earned his DDS degree Creighton University School of Dentistry in Omaha, NE. While at Creighton he was a teacher’s assistant for restorative dentistry and periodontal classes where he taught underclassmen. He was recognized with the AAP student leadership award and volunteered his time at the One World Dental Health Clinic for underprivileged patients. He also published a research study titled “Clinical Outcomes of Dental Implants Placed and Managed by Predoctoral Students Under Faculty Supervision. A Long-Term Retrospective Analysis” in the Journal of Dental Education. 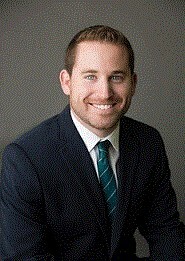 Dr. Hunter completed his 3-year residency and received his master's degree at Loma Linda University School of Dentistry in the Department of Advanced Periodontics and Implant Surgery in Loma Linda, CA where he received the California Society of Periodontists Robert L. Merin Most Outstanding Resident Award. While at Loma Linda School of Dentistry he completed his master's research titled “A Technical Comparison of Two Different Guided Implant Surgery Materials: 3D Printed vs. Thermoplastic.” Dr. Hunter currently teaches part-time at Loma Linda University in the Department of Advanced Periodontics and Implant Surgery. Dr. Hunter is board certified by the American Academy of Periodontology.